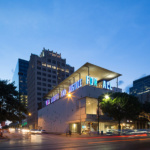 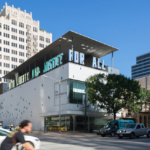 Formed from the merging of Arthouse and the Austin Museum of Art, the Contemporary Austin is a 23,800-square-foot museum in the heart of Austin. 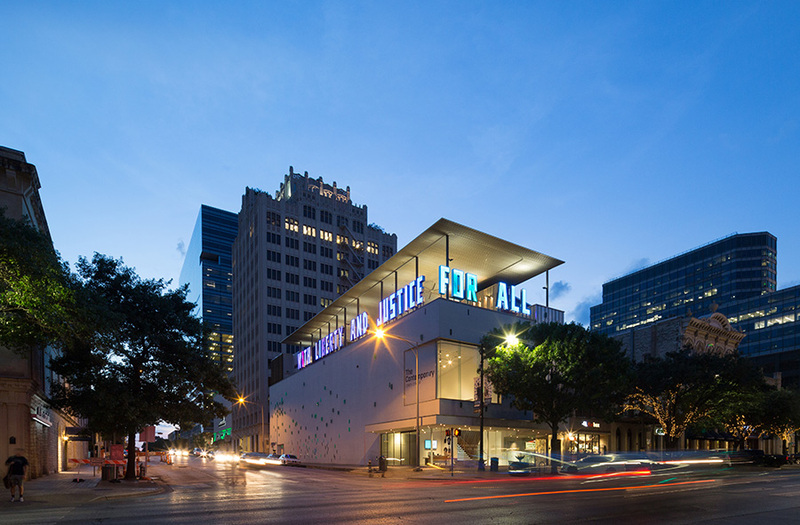 The building presents a fresh identity for the new organization, while preserving and adding to the century-old building’s history of transformations from a theater, a department store, and a local art center to a highly refined exhibition space. 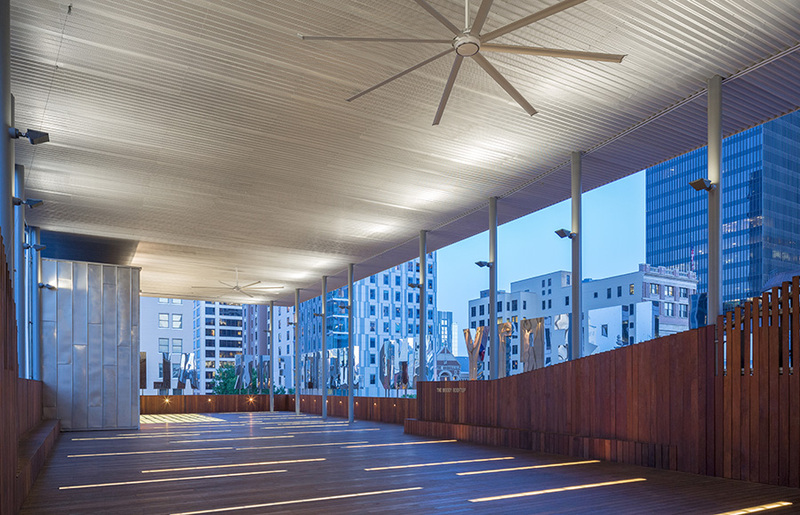 The most public aspect of the renovation comprises a perforated aluminum canopy that floats 23 feet above the roof deck, providing shelter from the elements and framing site-specific art installations on the parapet. 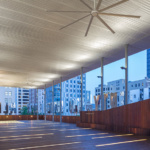 The canopy supports a retractable weather curtain, monumentally scaled at over 5,600 square feet. 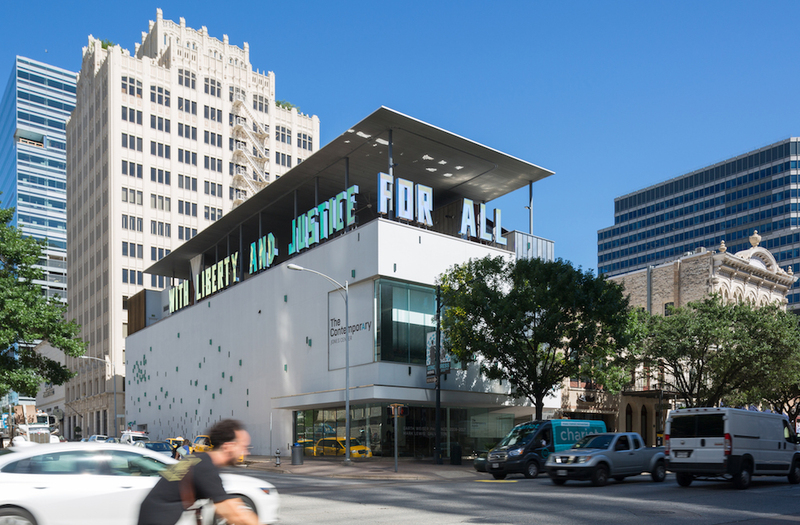 Key to the renovations, though less visible by design, are alterations that provide increased capacity for large-scale artworks and exhibitions, including enlarged access panels, a high-capacity scissor lift, environmental control upgrades, and improvements to the building envelope. The New Lab transforms Building 128 at the Brooklyn Navy Yard, once a shipbuilding factory, into a high-tech design and prototyping center. 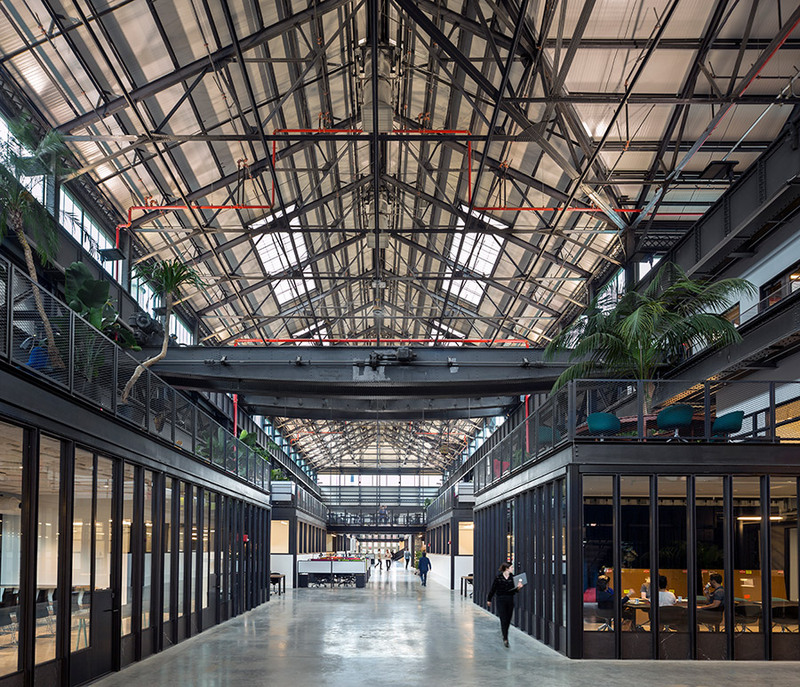 A variety of classes and educational programs will provide job training for Navy Yard tenants and other high-tech manufacturers, as well as local entrepreneurs wishing to advance their skills. 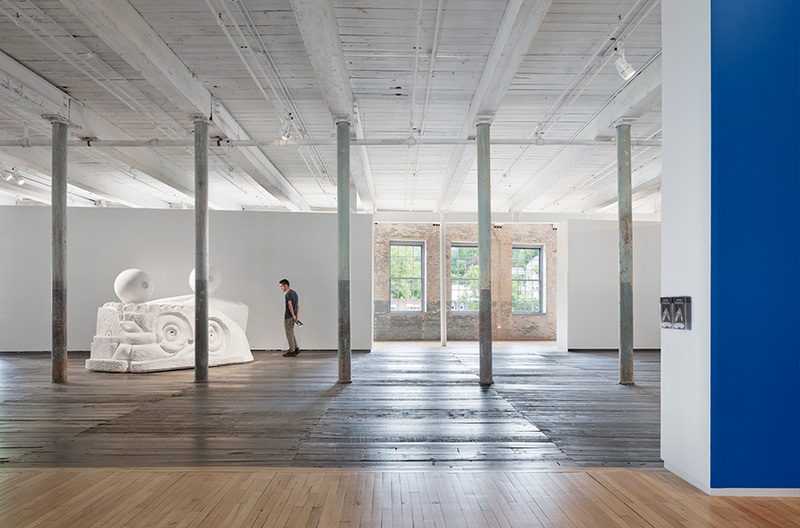 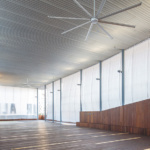 Mass MoCA breathes new life into a 17-acre industrial complex built in the late 1800s with this pioneering adaptive reuse project. 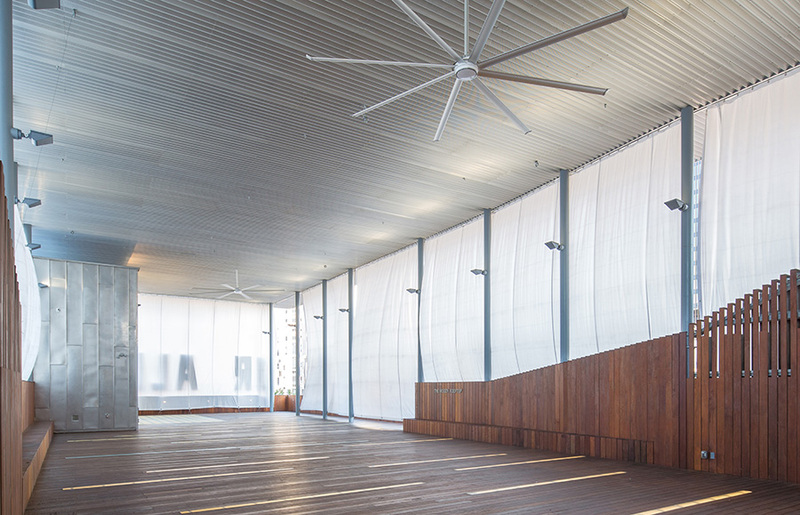 The museum was completed in three phases, with the Robert W. Wilson Building being MASS MoCA’s final realization of its “museums within the museum” concept.